Green Kids is committed to spreading awareness both in and outside of Kurdistan. 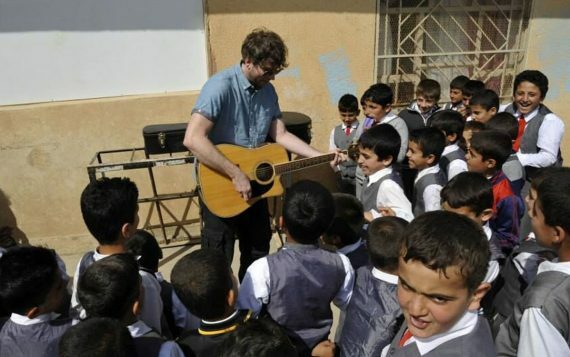 The team invited English artist Nikki Murray to join them in this endeavour, introducing him to the beauty of Kurdistan, and the nature that inspired the organisation. 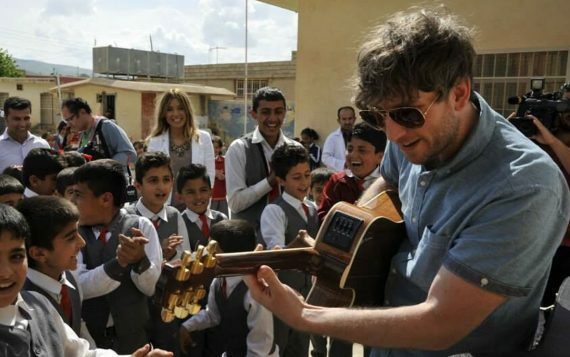 Nikki joined the team in handing out books and environmental information to children, bridging the gap between cultures as he played guitar and sang for them. The children looked on wide-eyed, enjoying the music and gratefully receiving the books and school materials distributed by Dashni, Nikki and the team. It was beautiful to see the kids appreciation for Nikki and his musical addition to the team, and Green Kids was able to see the two cultures coming together through music and love.